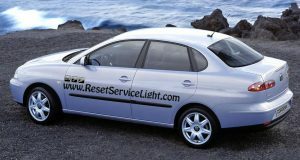 Do it by yourself, replace the spark plugs on your Seat Ibiza or Cordoba, the model produced in the years 2004 and 2005. To be able to make this repair you will require four new spark plugs from your local auto parts shop, a 10 mm socket wrench, a flat blade screwdriver and a spark plug wrench. The repair is simple and will probably not take you more than 30 minutes. You can begin the repair by opening the hood of your car. It is better to disconnect the negative cable from the battery, because you will have to remove the ignition coils and this way you avoid unwanted electrical accidents. After you do it, detach the engine cover. You can do it using only your bare hands because you just have to pull up firmly from the edges and it will come out. Be advised, because on the right side of the engine cover there is a small hose that you must unplug before removing the cover (see picture below). Be careful, not to damage it. 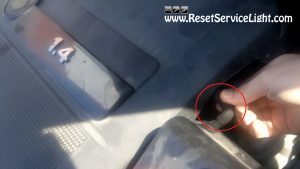 After you remove the engine cover you will get access to the ignition coils. They are not held by bolts or fasteners. You just have to pry them out slowly using a flat blade screwdriver, as shown in the next image. Next, unplug their electrical harnesses by pressing their safety tabs with your fingers or using a flat blade screwdriver. 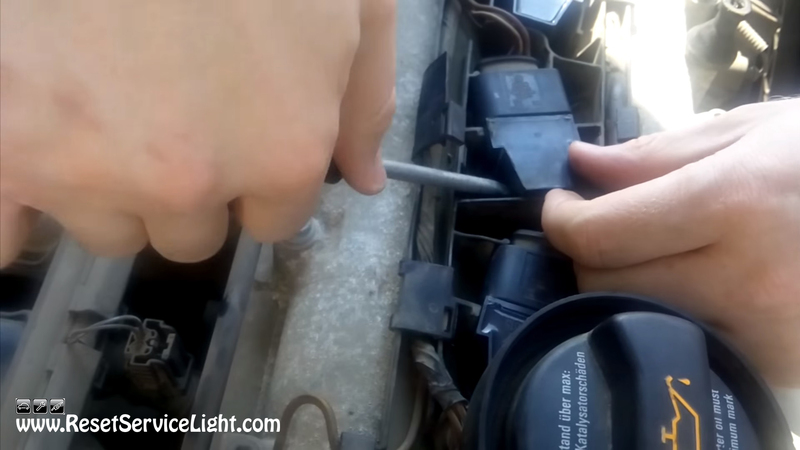 At this point, you can replace the spark plugs very easily using a spark plug socket wrench. Install the new, compatible spark plugs, insert the coils back into their holes and connect their wires. Install back the engine cover, not forgetting about the small hose on the right and reconnect the negative cable on the battery at the end. This is all you need to do if you have to replace the spark plugs on your Seat Ibiza or Cordoba made in the years 2004 and 2005.